Honda switched to a soy-based coating for their wiring that is more biodegradable. It sounds like a pro-Earth move by the automaker, but the real reason is probably a little less triumphant: the coating costs less than plastic. Still, less plastic in the landfill is always a good thing. But like most good things, they come with consequences. You’re meticulous about your Honda’s maintenance — you change the oil regularly, keep your tires rotated, and always make sure the fluids are topped off. But have you wrapped your wiring in spicy pepper tape? Yeah, you heard me. Honda switched to a soy-based coating for their wiring that is more biodegradable. It sounds like a pro-Earth move by the automaker, but the real reason is probably a little less triumphant: the coating costs less than plastic. Still, less plastic in the landfill is always a good thing. But like most good things, they come with consequences. In this case, that consequence is passed on to the consumer who suddenly finds themselves with an engine full of rodent-friendly chewing material. You see, the soy-coating seems to be attracting rabbits, mice, and other rodents to use as a chew-toy and nesting material. To be fair, Honda isn’t the only automaker to make this switch or to have this problem. A Honda mechanic told CTWatchDog.com that he sees more than 100 vehicles per year with rodent damage to the electrical systems. The repair costs can start at $50, but quickly balloon to $1,000, or — in the worst case he’d seen — $3,000. When you move the car, look for any shredded pieces of wire coating or other material that looks like a nest that might have fallen out. Clean all food out of your car, including food sealed in bags. This is especially important for dog food and treats. Some have had success with putting mothballs, dryer sheets, or liquid peppermint in their engine compartments. 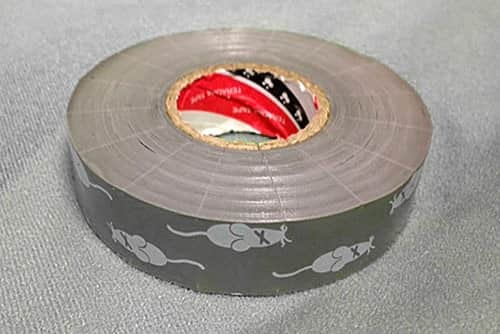 Wrap your electrical wiring in something rodents can’t stand. Unlike other automakers, Honda does seem to acknowledge this issue and offer a solution in the form of electrical tape treated with capsaicin. That’s the same stuff found in hot peppers that turns chili into five-alarm chili. The tape is available for purchase through dealerships (part number 4019-2317) and costs about $36 for a 20-meter roll. A lawsuit says the soy-coated, environmentally friendly electrical wiring that Honda has been using is irresistible to rabbits, mice, and other rodents. The lead plaintiff says his 2014 CrossTour’s wiring had been used as a chew toy. When he brought his car in for service, the mechanic found a rabbit living in the engine compartment. Can you blame the little guy? Free rides, something to gnaw on, and a warm place to hang out isn’t a bad deal. When the mechanic said the repair would cost $765, however, the rabbit hopped out on his portion of the bill. Honda refuses to pay for repairs because the wiring isn’t a “safety defect”, which is debatable. Honda knows about the issue, but still makes owners pay for the tape which can help prevent it. The lawsuit paints a wide swath over the 2012-2015 model years. So that means the Accord, Accord Hybrid, Accord Plug-in Hybrid, Civic, Civic Hybrid, CR-V, CR-Z, Crosstour, Fit, Fit EV, HR-V, Insight, Jazz, Odyssey, Pilot, and Ridgeline.